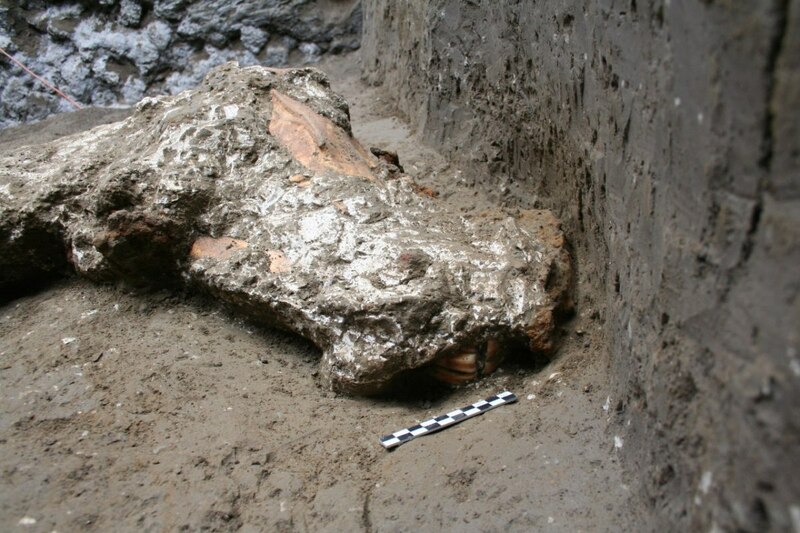 The skeleton of a second horse fleeing the eruption of 79 AD is among the most recent discoveries made during the excavations conducted in Pompeii under the guidance of the Director General of the Archaeological Park, Massimo Osanna, in the area of the Civita Giuliana, or the northern area just outside the walls of the archaeological site of Pompeii, where underground tunnels used by tomb robbers have been intercepted. The discovery of the horse has made it possible to successfully reproduce the technique of plaster casts, designed in Pompeii by the archaeologist Giuseppe Fiorelli in the second half of the 1800s. 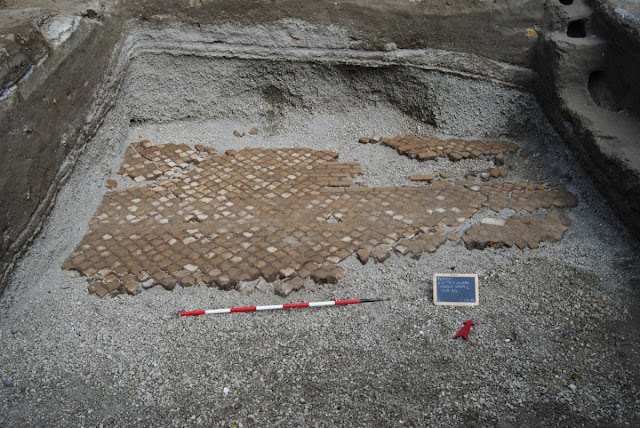 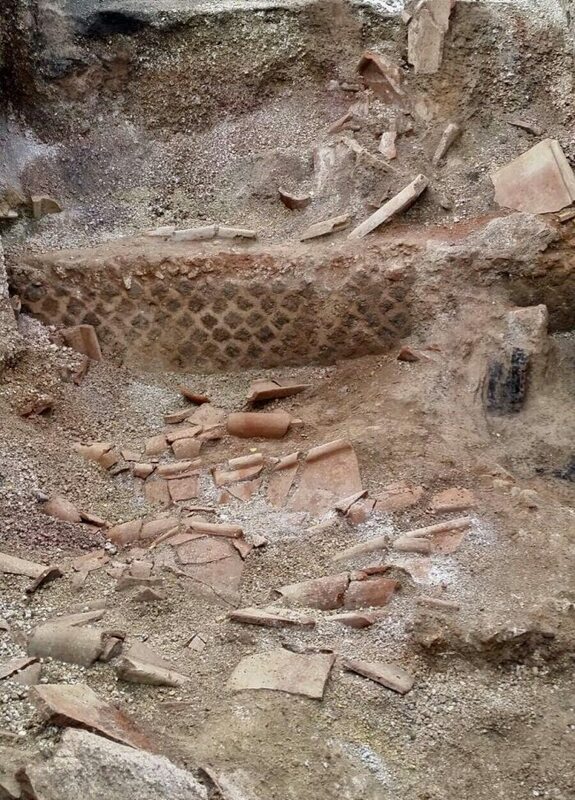 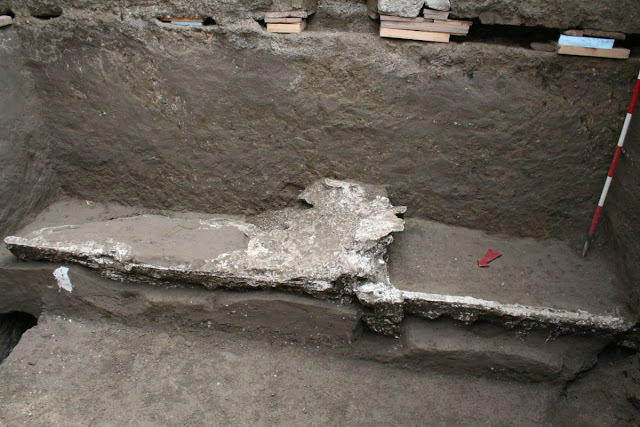 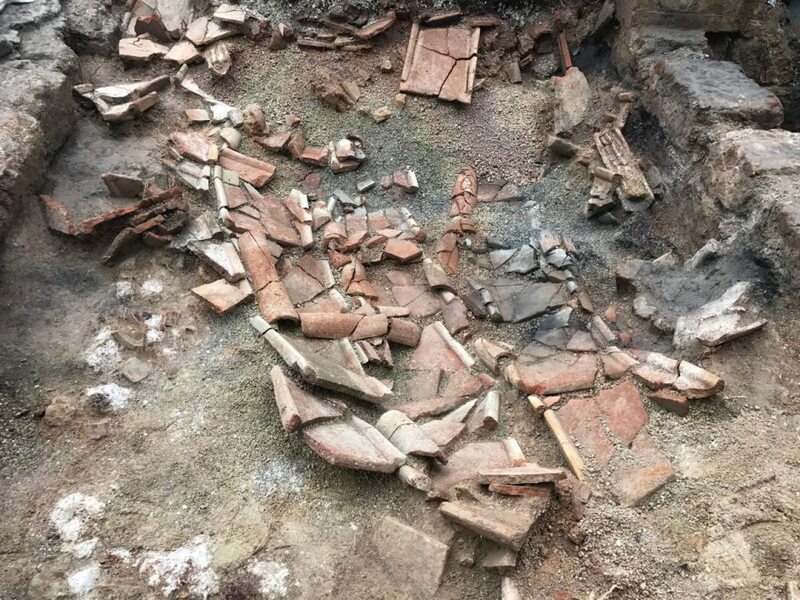 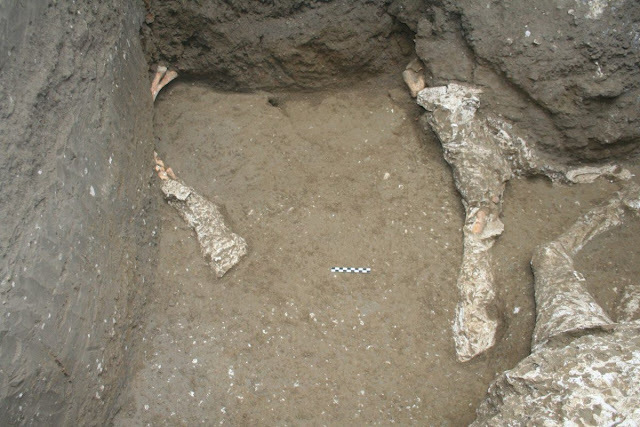 Near the animal there are also the remains of a noble patrician of the ancient Vesuvian city buried in a tile grave of the Imperial Age, dating back to a period between the eruption of 79 and the third century, thus testifying to the reoccupation of the site after the eruption. 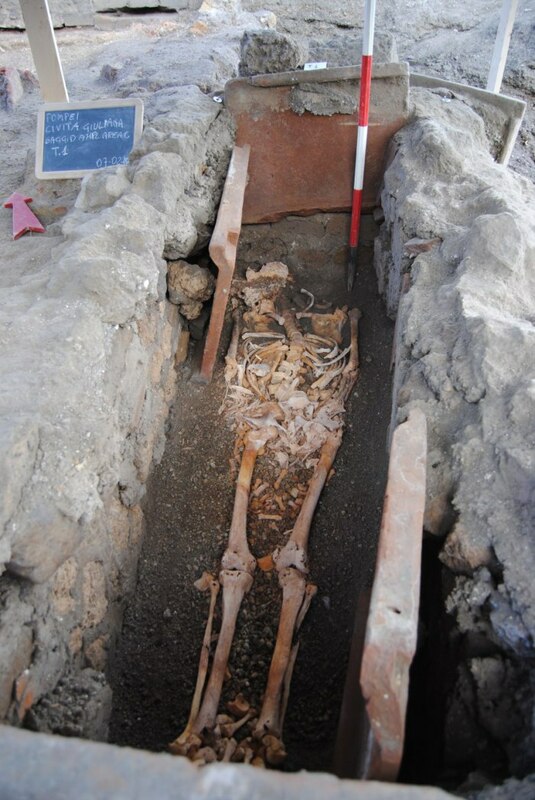 From the analysis of the remains, the man was found to be 175 cm tall and probably between 40 and 55 years old. There were no grave goods in the tomb except for a nail placed on the right shoulder, "a symbol", explained Hosanna, "to prevent the deceased from returning to the world of the living." 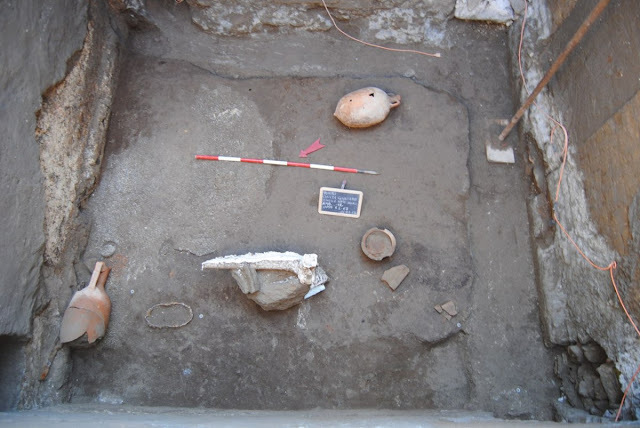 A series of service rooms from a large suburban villa, exceptionally preserved, have also been brought to light, revealing everyday objects such as amphorae, kitchen utensils and even part of a wooden bed for which a cast was made. 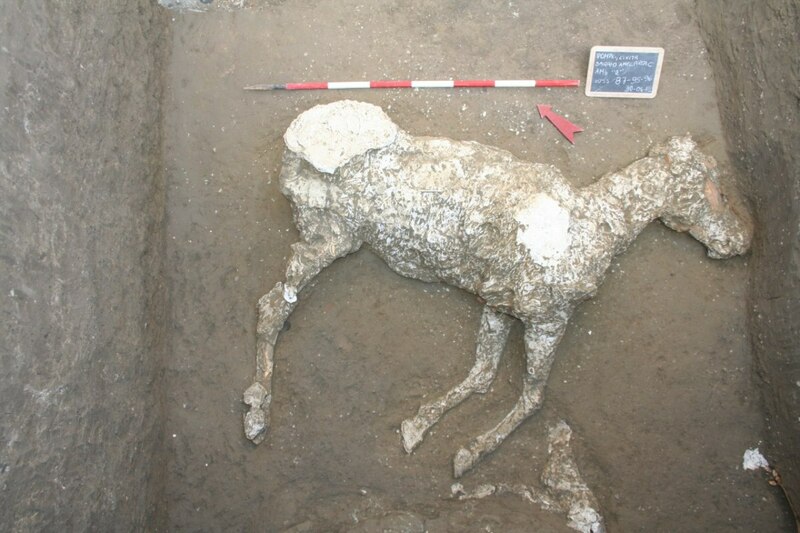 A few days after the first discovery, in one of the tunnels created by the looters, a second horse has also emerged, of which, due to the collapse of the illegal tunnel, only the legs have so far been revealed. The fact that they were wearing iron and bronze harnesses suggests that these were prized animals, used for racing and parades. 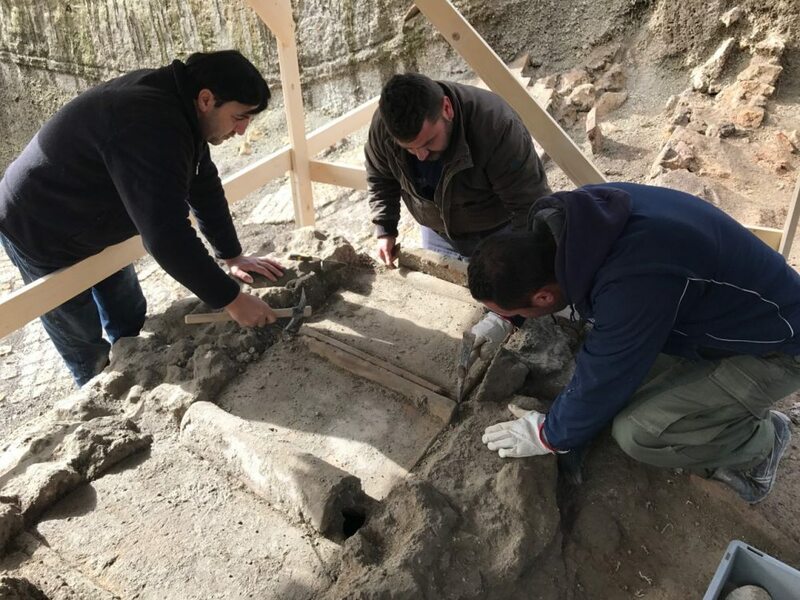 "It is likely," explained Osanna, "that they had been readied to escape the impending disaster. 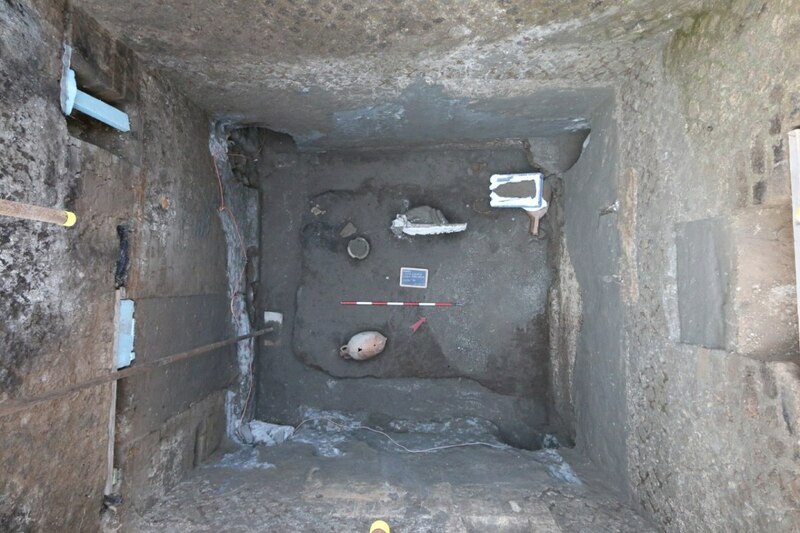 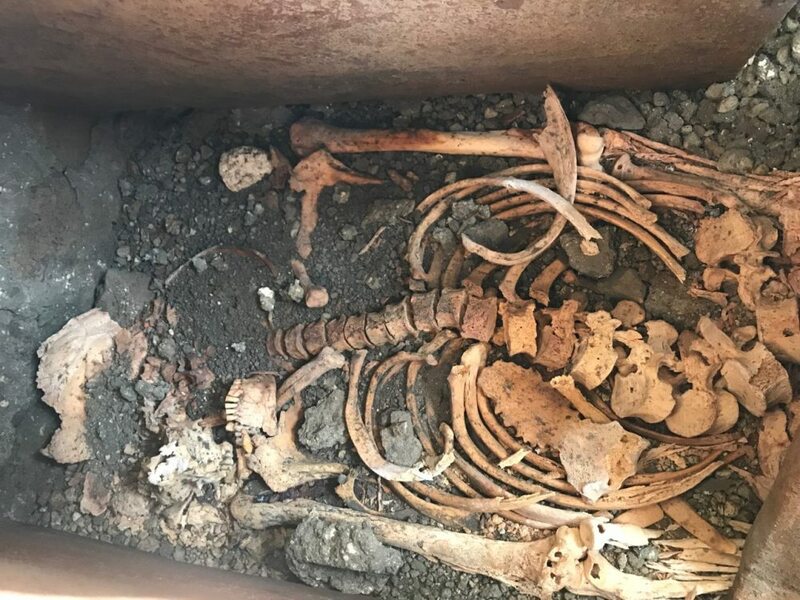 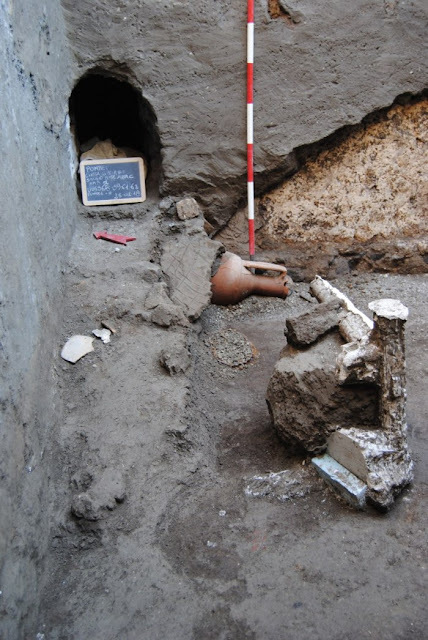 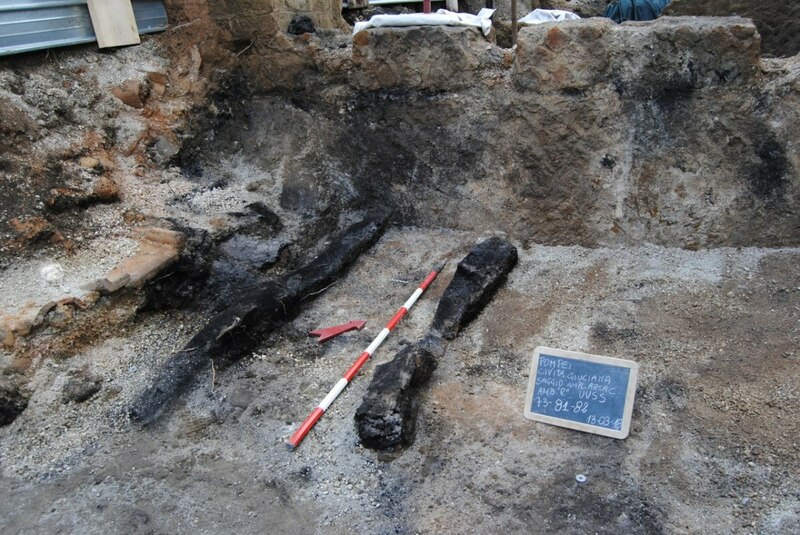 It is therefore not impossible that, as the excavation continues outside the stable, there may resurface the remains of a cart and skeletal remains of the men who were preparing to escape from the fury of the eruption of 79 AD." 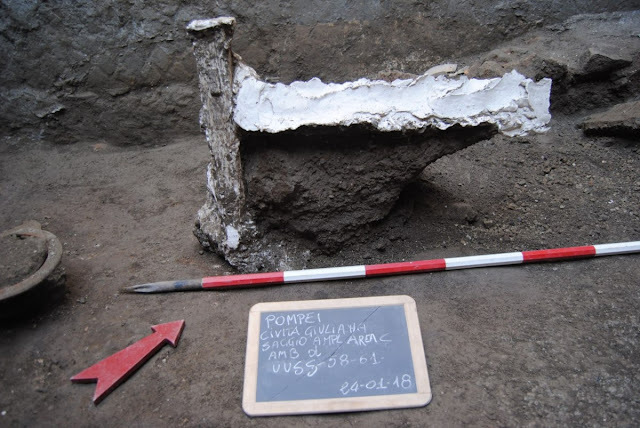 Among the many new findings there is also a piece of land cultivated in 79 A.D., with visible traces of the furrows created by the ancient ploughmen; soil samples taken by scholars will help - through paleobotanical analysis - to identify the typical crops of the Pompeiian area.